Hazel is a 16-year old girl growing up in Indianapolis, Indiana. She is a typical teen in many ways except that she has a terminal illness. Her mother thinks it is a good idea for Hazel to attend a support group. Hazel reluctantly joins the group and meets a 17-year old young man by the name of Augustus. While his illness is in remission, Augustus is supporting his friend, Isaac. Hazel becomes friends with the boys, and she and Augustus end up falling in love. Hazel is afraid of getting close to Augustus, referring to herself as a time-bomb. But through their journey together, she learns of unconditional love. Augustus never gives up on her, no matter the odds. John Green is the author of the the best-selling novel. His inspiration for the story came from when he worked as a student chaplain in a children's hospital. Another inspiration came from a friend of his, 16-year old Esther Earl, who passed away from cancer. Through love and sheer determination, the two learn to trust and love. In their short time together, they share a friendship that most can only hope for. Through tragedy, they find the hope to truly live. 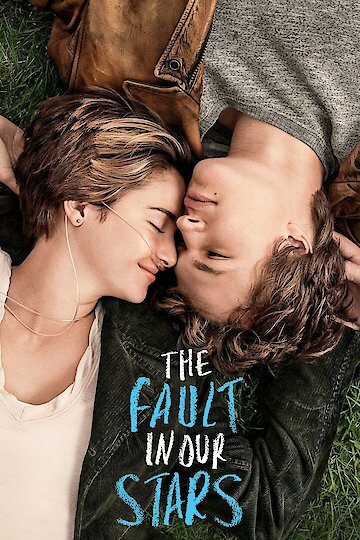 The Fault in Our Stars is currently available to watch and stream, download, buy on demand at FX+, FOX, Amazon, Vudu, Google Play, FandangoNow, iTunes, YouTube VOD online. A new "X-Men" movie will be hitting theaters with an interesting choice for director. Shailene Woodley Charms in Extended 'Fault in Our Stars' Trailer - Watch Now! Interested in taking a ride on a rollercoaster of emotion today? Good. There's a new extended trailer for "The Fault in Our Stars" out. The trailer reveals some new footage not seen in previous ones, focusing mostly on the uplifting parts of John Green's bestselling story. The new trailer starts similarly to the first one, setting up the story of Hazel (Shailene Woodley), a terminally ill teenager and her relationship with Augustus (Ansel Elgort), another teen in remission from cancer. It's not often that a movie wins the weekend box-office race and still ends up looking like a weak performer. But "The Fault in Our Stars" did just that this weekend by not living up to its early promise. 'The Fault In Our Stars' Trailer Is Here to Make You Sob - Watch Now! Get ready to cry, people: The first trailer for "The Fault In Our Stars" is here.